Getting a new or new-to-you Chevy car, truck, or SUV is incredibly exciting, but are you unsure of where to start looking? You can begin and end your vehicle search at Mike Anderson Chevrolet near Hammond, IN. We have a healthy selection of new, certified pre-owned, and used models at great prices, plus a knowledgeable auto center team to keep your vehicle on the road and running strong. If you have any questions along the way, please don’t hesitate to contact our Chevy dealership near Hammond, IN at 219-947-4151. Have your eye on the brand new Chevy Corvette? Are you looking for a reliable Chevy sedan for less? No matter which model you’re on the hunt for, Mike Anderson Chevrolet of Merrillville is bound to have something you’ll love. Explore our new, CPO, and used vehicle inventories to get started. You can get a great deal on any vehicle available at Mike Anderson Chevrolet of Merrillville. Simply browse through our new vehicle offers and incentives, and pre-owned specials to see how you can save on a new or used model of your liking. Are you in need of assistance when it comes to auto financing? There’s no need to fret because our auto finance team is ready and willing to help you get a great auto loan or lease that works with your monthly budget. 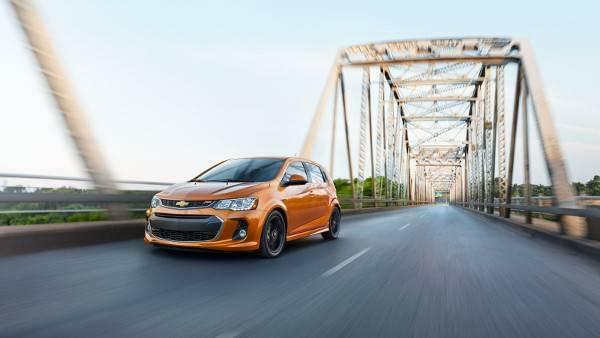 No matter what your financial limits are, the finance team at our Chevy dealership near Hammond, IN can help get you into the car you deserve. Learn more about financing at Mike Anderson Chevrolet of Merrillville. Are you in need of a new set of tires? Have you noticed a squeak coming from your vehicle that wasn’t there last week? We know car maintenance can be tricky, so the service center at our Chevy dealership near Hammond, IN is here to help. We staff only Chevy certified technicians because they know exactly what makes your Chevrolet car, truck, or SUV tick. Need auto service? Schedule an appointment at a time that works best for you. We are conveniently located off of Interstate 65 at 1550 East 61st Street in Merrillville, about 16 miles away from Hammond, but we have much more to offer than an accessible location. The Mike Anderson Chevrolet of Merrillville team is dedicated to quality customer service no matter what you need our assistance for. For more information about our Chevy dealership near Hammond, IN, send the team a message online or call 219-947-4151 to speak with a representative directly.